The motorcycle firm of SMZ in Serpuchow, near Moscow, produced a very basic 3-wheel vehicle intended for use by war veterans, until the Late '50's. 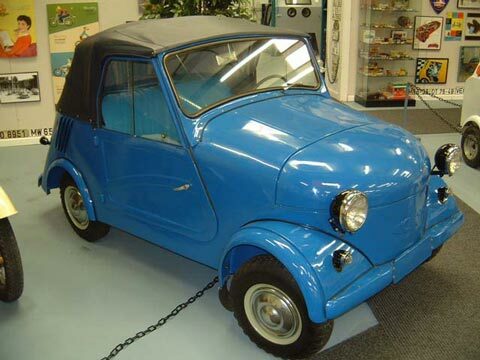 In 1956 a four-wheeled car -the SAZ - was produced, with more car-like qualities and still available for veterans. A hardtop was available. It was produced into the '70's when the SDZ or "Sputnik" arrived. This car is fitted with hand controls. Weight: Electrics: 4 Wheels: 5.00 x 10"